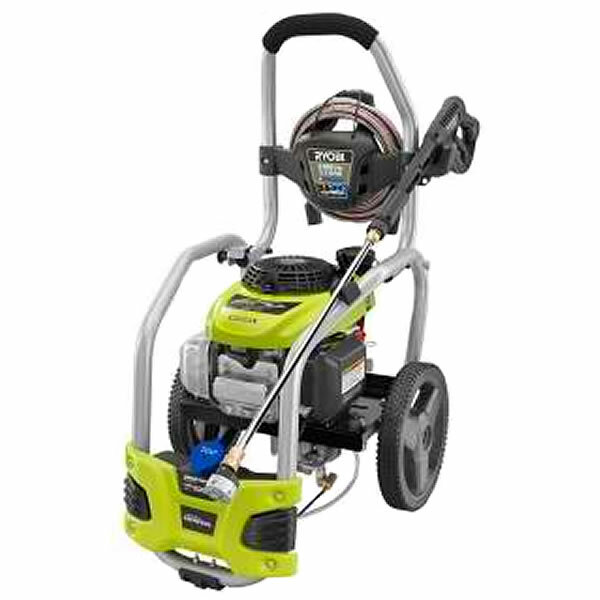 This is the summary of consumer reviews for Stanley 1600 psi 1.4 GPM Direct Drive Electric Pressure Washer (Model: P1600S-BB). The BoolPool rating for this product is Good, with 3.50 stars, and the price range is $99.99-$149.99. Cleaned the composite deck, concerete porch, driveway, windows and it cleaned very well. It's perfect for general cleaning jobs; siding, windows, sidewalks all come up nice and clean with only 1600 psi. 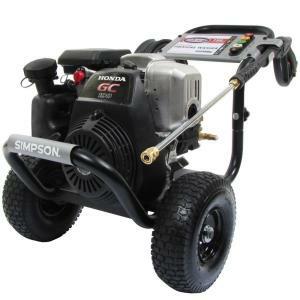 Very nice pressure washer plenty of pressure for cleaning your deck. Cleaned up the back patio area nicely. It cleaned my redwood deck of algae and dirt nicely. 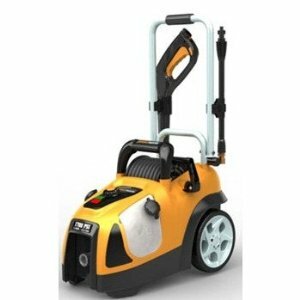 Plenty powerful enough for household jobs like cleaning the paver patio and vinyl siding. Have used it to clean a deck, driveway and garage floor. takes a long time to clean anything. It isn't powerful enough for heavy duty cleaning. 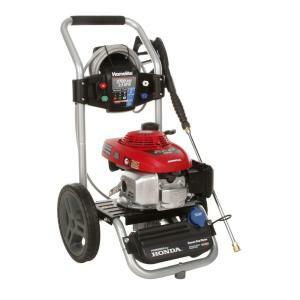 It's powerful and it does a great job cleaning concrete patios and vinyl siding. Set up and changing nozzles was easy and carrying/moving the entire unit was super easy. Well packed, very easy to assembled. This pressure washer worked great and was easy to use. Easy to use, 5 minute set up right out of he box. Attachments are versatile and easy to use. Other than that it's a great easy to use machine. 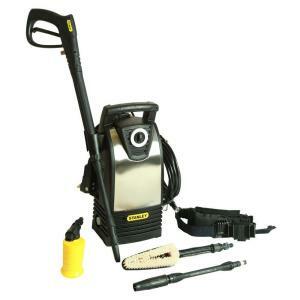 For a small pressure washer it's good pressure and easy to carry and compact. This pressure washer works great. Unit works fine except for the soap dispenser. Works for cleaning aluminum siding also. It did work well on our deck. I was worried that the machine would stop working because of some of the review i read, but it worked great. Auto on/off in response to trigger works well. Used the product for one project so far and it worked fine,probably better than i expected. I'd recommend to anyone who wants a good product they can use for home on home projects and works great for cleaning driveways. 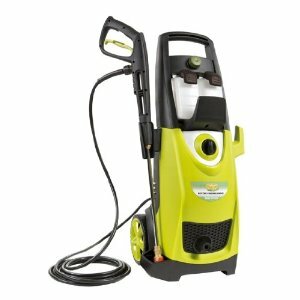 This little power washer packs a punch! This product is very powerful. 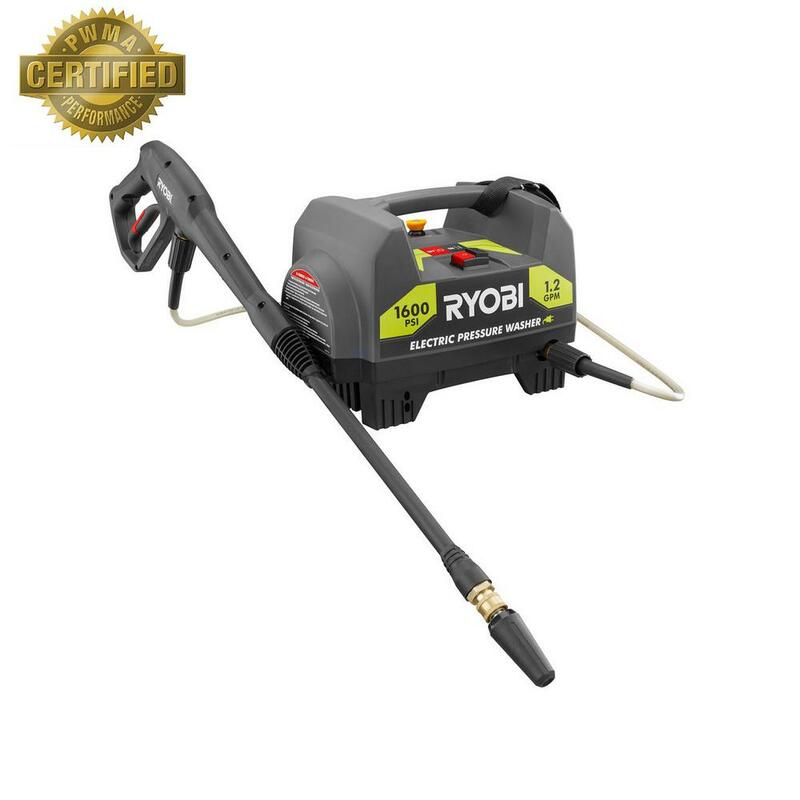 My dad said this power washer wouldn't have enough power to clean our deck and vinyl siding. Power less than expected based on PSI rating (have owned others with same or lower PSI and better power. 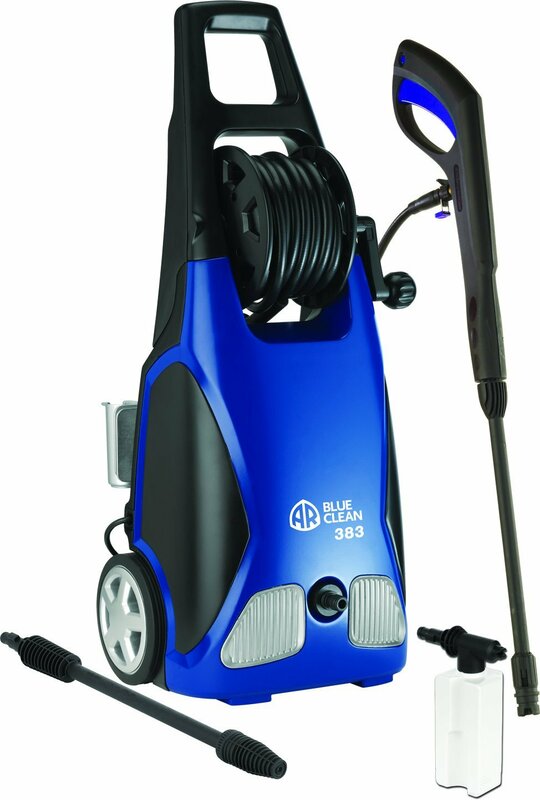 this's a very nice little power washer. This's a excellent power washer works great! !No problems. It's enough power to do a great job. I bought the pressure washer to performa simple home project (power washing a cedar rail- 15' long. the machine is under powered in PSI and GPM even for simple home projects. I'm very happy with the quality and price. Well worth the price, although very inexpensive!. Plus, the price was right. A very nice product for the price. Home Depot was great dealing with the exchange and giving me the price paid for the first unit. I've owned other similarly priced units over the years. light wt., convenient & easy to use, at a good price. Does what it needs to for the price. With the special price, it was an excellent value. the prices on the extra brushes etc. are excessive. Plastic connector from water hose to unit is too frail and failed immediately. Broke two quick connect hose fittings (plastic) before I went to Ace hardware and bought metal to finish my job. The plastic connect (water inlet) has some leakage. The quick connect coupling & inlet adapter leaked the first time I flowed water to the unit. Hose clamps used on tubing connecting the inlet water from the garden hose to the high pressure pump leaked much more than 10 drops/min. My only complaint was with the quick connect hose. runs good . the quick connect for water broke during the first use. 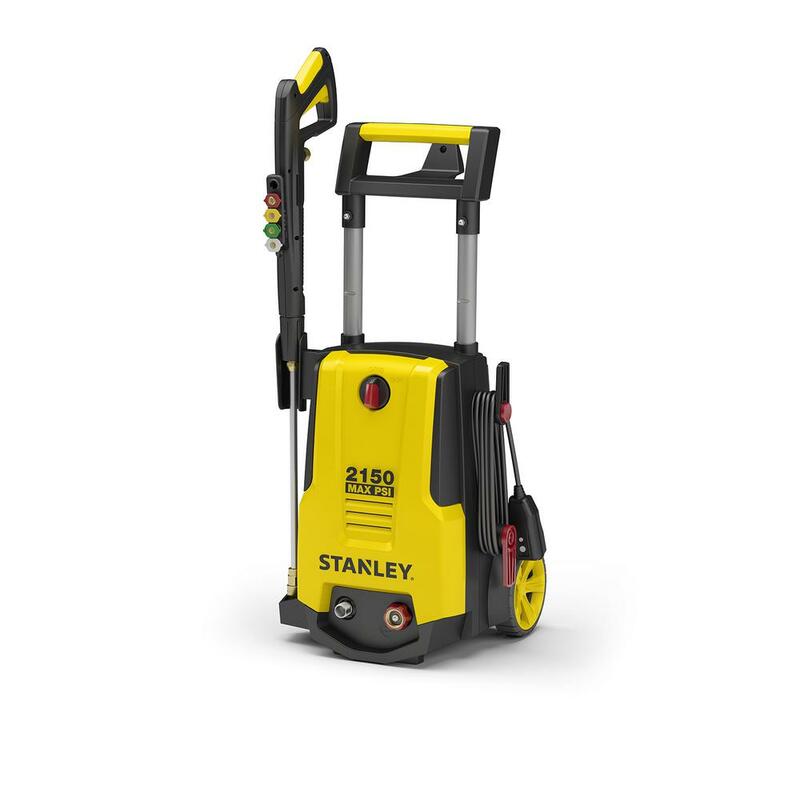 Stanley 1600 PSI Pressure Washer has a poorly designed hose coupling that sprays water. Be prepared to go out and buy a metal 3/4 hose to 3/4 hose connector (about $3) since the plastic quick-connect supplied leaked worse than a sieve.